Our design put the cultural values of the scouting movement at the heart of the development. We interpreted these values physically as a group of humble yet profound buildings that provide a mixture of fun, learning and enjoyment of the natural world, whilst being safe and secure. The buildings are flexible and modular to allow for a diverse range of activities to be undertaken now and in the future. These are arranged around a central ‘heart’ space where all can gather for formal or informal gatherings. 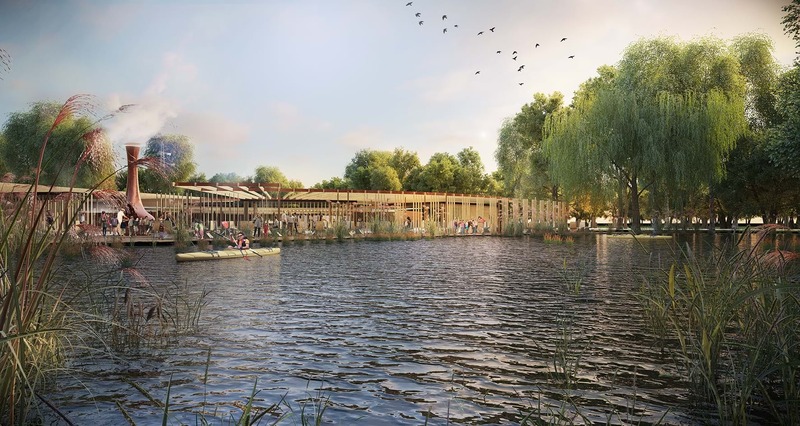 The circular arrangement allows views in and out to the parkland and beyond and to the Bomb Hole which provides for a number of water based activities. We carefully considered its Green Belt setting in terms of building bulk, massing and use of materials which maximise passive energy usage. We designed the buildings to age and blend organically with their surroundings. As the most prominent building, the Heritage Centre was designed to house and display collections and attract historians, anthropologists, sociologists and the wider public in increasing numbers. The curved/radial form allows for a ‘journey’ of discovery as views and spaces are revealed. 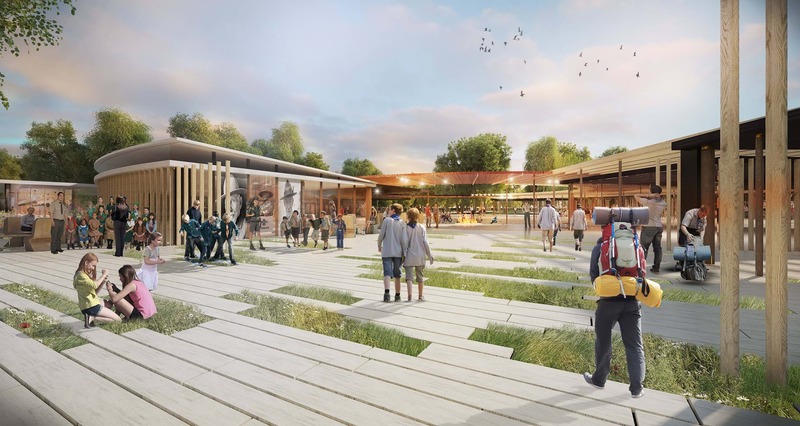 A winding pathway through the site creates the opportunity for experiences to take place along the route, a chance for learning and interaction. A strategically placed series of vertical information panels inform the visitor along the arrival sequence, whilst the introduction of a sculptural pizza oven provides the opportunity for Scouts to cook, create and have fun.